Traveling for the holidays? Here are some travel tips to maintain a healthy smile. It’s important to teach your children to brush their teeth for two minutes, twice a day. Check out these seven awesome songs your kids can brush along to! Worried about your child’s dental health? Check out these eight common concerns and solutions to provide your child with a happy, healthy smile. Three out of four adults are affected by poor dental hygiene. Two minutes is the recommended duration for brushing your teeth. Check out some of these fun, two minute videos that will help your kiddos pass the time. Take care of your baby before they’re born! Babies’ teeth begin to develop between the third and sixth month of pregnancy. Dental sealants serve as a protective coating for your teeth, helping prevent cavities and reducing risk of decay. Learn more about dental sealants: http://bit.ly/2nBYyrv. for healthier teeth, good breath AND fewer cavities! No matter what sport or skill level, athletes need to take care of their teeth both on and off the field. Find out the 3 things all athletes should do for their teeth: http://bit.ly/2pDvMIY. Having a dry mouth can be irritating. It makes it difficult to eat or talk and can even lead to nausea. since a dry mouth can promote gum disease and tooth decay. Dental sealants serve as a safety net, helping to keep your teeth clean. Once a sealant has been applied, it keeps bits of food and stop bacteria from settling in the crevices of your teeth. We know we should floss at least once a day, but not everyone knows the proper way to do it. Feeling a little under the weather? Did you know silver fillings can safely be replaced with tooth-colored restorations? and they are also usually covered by insurance. Visit the Norman Smile Center website to learn more, and give us a call at 405-329-6603! Ready to start the new year with a NEW SMILE? They are an ideal choice for improving your smile and have become increasingly popular due to their simplicity and versatility. We design each case individually to enhance the characteristics of each patient’s smile. It’s not easy to stay healthy during the holidays! Direct bonding is a cosmetic procedure used to recreate a smile. Little or no tooth reduction is necessary, and most insurance covers bonding! Through the end of NOVEMBER, we’re collecting non-perishable food and donations for Food and Shelter, Inc.
and the chance to win a basket with $800 of items for a whiter, brighter, and healthier smile. Help us help out our neighbors! Your toothbrush spends about four minutes a day in your mouth, so you want to make sure it’s clean. It’s about that time for those back-to-school checkups! Clinical studies show that chewing sugarless gum for 20 minutes after meals can help prevent tooth decay. Although this is not a substitute for brushing and flossing, actively caring for your oral health is always a plus. that cause muscle movements, essentially relaxing the muscle, which reduced or eliminates fine lines and wrinkles. While many causes are harmless, bad breath can sometimes be a sign of something more serious. Read this article to learn 6 causes and 7 solutions: Let’s Talk About Bad Breath! and is not subject to the bottom line of a corporate manager. Ever thought about whitening your teeth? We would love to make your pearly whites whiter, but first make sure you have all the facts and that you pick which whitening option works best for you and your budget. This article breaks down your teeth whitening options, when you’re ready to make your choice call us for an appointment and we’ll begin your whitening process! Is your New Year’s resolution related to your diet? Start the new year off right while keeping your mouth in mind! Even diets that many consider healthy may not always be so healthy for the teeth and gums. Did you know that silver fillings can safely be replaced with Tooth-Colored Restorations? let us give you a quote to replace your silver fillings, and restore your whiter, BRIGHTER smile! Check out how this medicine cabinet staple is ALSO a handy household cleaner! A fuller, more complete smile is within reach with Dental Implants! Check out this information from the American Academy of Cosmetic Dentistry to see if dental implants are right for you. The key benefit of dental implants over other tooth replacement systems is that an implant connects directly to the jaw bone. What is Baby Bottle Tooth Decay? Are you putting your child at risk? Watch this video to make sure you’re taking care of your baby’s teeth and gums! A child’s primary teeth, sometimes called “baby teeth,” are as important as the permanent adult teeth. Learn how to care for your baby’s teeth and more. of Human Health and Services recently changed the level of fluoride added to our water. Congratulations, Dr. Campbell (5 years), Dr. Sparks (19 years), and Dr. Belknap (28 years)! Though brushing your teeth seems like a simple process, many have trouble getting it right. Start teaching your kids good dental habits at a young age. Check out this article for six, easy tricks! Dial down discomfort with these easy solutions for teeth sensitivity. Hot and cold foods and beverages can cause pain if you have sensitive teeth. Try these tips to protect your enamel and ease discomfort between dentist visits. We’re SO proud of Kristen Campbell (pictured above, with a message for other volunteers) for all of her awesome work with OKLAHOMA MISSION OF MERCY. Norman Smile Center’s Kristen Wolever Campbell and Jamie Belknap are participating in OKLAHOMA MISSION OF MERCY this weekend! to as many adults and children as time, volunteers and supplies will allow. Dr. Kristen is one of this year’s chairs, has been involved in every planning phase, and will spend three days caring for Oklahoma’s under-served citizens. Are you ready for a FABULOUS meal and the chance to unwind after the holidays? Norman Smile Center is giving away a $100 LEGEND’S Restaurant Gift Certificate! One entry per person, last date to enter: January 31. Drawing will be February 3. Did you know that certain cheeses and dark chocolate can reduce tooth decay? Take a look at some other weird facts about your mouth. NORMAN SMILE CENTER SPECIAL: New patients always get free bleaching trays at Norman Smile Center. SEPTEMBER SPECIAL: Norman Smile Center is offering new AND existing patients 50% off in-office bleaching! This half-price bleaching special (with savings of $225) is running through the month of September. Give us a call at Norman Office Phone Number 405-329-6603 to take advantage of this wonderful offer! Norman Smile Center is proud to be participating in an upcoming program through the Oklahoma Dental Association! We’ll be offering FREE dental screenings for elementary children from September 8 – 12. To schedule a free screening for your child, give us a call at Norman Office Phone Number 405-329-6603.
with Norman Smile Center get a FREE Oral B Vitality electric toothbrush ($30 retail). Give us a call at Norman Office Phone Number 405-329-6603 to schedule! To “Check-In” on Facebook, simply click the “Place” button on the Facebook status menu. Or to leave a Facebook review, patients can go to the Norman Smile Center page and click on the “Reviews” tab. 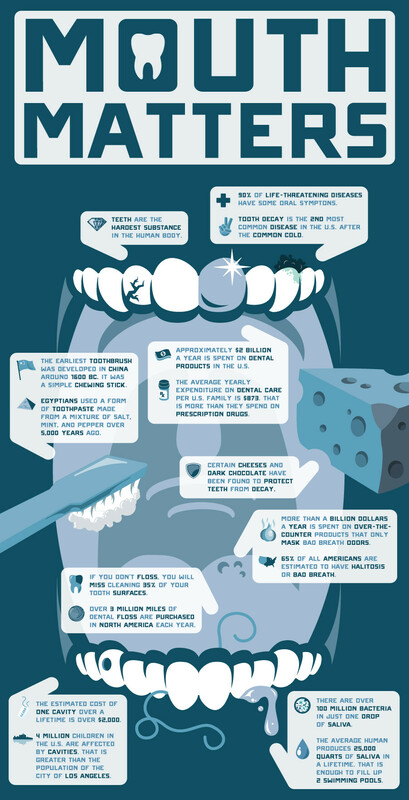 Covering all the bases of good dental hygiene is the best way to ensure your overall oral health. But what are the best steps to practice every day for good oral hygiene? It’s really pretty simple! 1. Brush, Floss, Rinse, Repeat! Make sure you’re brushing your teeth twice a day. (Drs. Belknap, Sparks, and Campbell recommend using a soft-bristled toothbrush). And when you’re brushing, be sure to clean between the teeth where the toothbrush doesn’t reach. To keep gums healthy and remove plaque in those hard-to-reach spots, make sure to floss daily. Then follow up your oral care regime with a dentist recommended antibacterial mouthwash. Or ask your favorite Norman Smile Center staff member about fluoride to strengthen your teeth’s enamel! Remember—if possible—it’s best to brush your teeth after every meal. If you’re always on the go, rinse with water or chew a stick of sugar-free gum to clean your teeth. Regular brushing and flossing is essential, but so are regular dentist visits! Make sure to schedule an appointment here at Norman Smile Center for a professional cleaning and dental check-up! The American Dental Association recommends that you come in every six months for cleaning to remove calculus build-up and keep your teeth healthy. So if you’re past due for a cleaning, give Norman Smile Center a call today! When it comes to oral health—a good, balanced diet of whole foods is essential! This includes your daily-recommended allowance of fruits, veggies, dairy, nuts, whole grains and, as hard as it might be, cut sugary foods! When bacteria in our mouths break down simple sugars, they produce acids that can wear down the teeth’s enamel and lead to decay. Yikes! Do you have dental sealants? Sealants are a thin, tooth-colored coating applied to the fissures and chewing surfaces on the back molars to fight off cavities. Children receive their permanent molars around age six, and this is a great time to protect these important teeth! Talk to your dentist about getting dental sealants for your child. Not only does tobacco increase your chances of developing gum disease and oral cancer—it stains your teeth! Advise your children to never take up the bad habit, and—if you use tobacco products yourself—consider quitting. If you ask Drs. Belknap, Sparks, and Campbell, they will tell you that in order to keep your mouth healthy and your teeth pearly white—avoid this bad habit!